All packaging lines aim to run at optimum performance, line stoppages are costly. 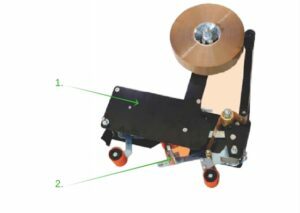 One of the potential places for issues is on the end of line carton sealing machines. 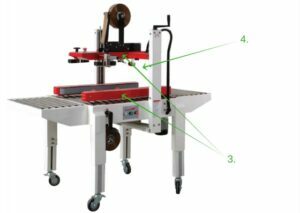 Simple changes and adjustments can be made to the machines which will ensure proper application of the adhesive tape to the cartons and the smooth running of the machines. This will all contribute to the increased efficiencies of the packaging line. Inspect taping head ensuring it is cleaned and oiled, tighten any loose parts and replace over-stretched springs. This will ensure regular and reliable performance of the taping heads. Inspect taping head blades and clean, removing any glue residue. Blades should be reset at a slight angle. A small amount of oil applied to the blade reduces the build-up of adhesive and prevents the tape from catching or snagging on the blade, ensuring it is applied smoothly. Check that all guides and rollers are set up specific to the carton being sealed. These should guide the carton centrally through the carton sealing machine, ensuring that the carton can’t move sideways and doesn’t enter the machine skew. Check that all brushes are adjusted so that they are applying pressure to the tape as it leaves the machine. This will ensure good adhesion of the adhesive tape to the cardboard carton. Lindum performs optimisation on pallet wrapping and carton sealing machines every day – helping companies to reduce costs whilst protecting their goods in transit. Get in touch today to book a site visit to optimise your machinery.